Happy Halloween! I hope you’re planning something spooky for this evening. Thanks to everyone who has been following along with my 31 Days of Halloween. For this final day, I wanted to discuss Opera, a film by Dario Argento and my favorite movie in the giallo tradition. This year I discovered a new love of a very specific type of horror/thriller film: the giallo. These Italian-made horror flicks blend mystery elements with grisly horror, and I have just been devouring them. Opera has quickly become one of my favorites because of the interesting imagery and unique plot. There are some interesting allusions to The Phantom of the Opera, but don’t expect a grand love story here. Instead, we get to delve deep into the mind of a very twisted murderer trying to recapture something he never truly had. Thanks again to everyone who followed this blog series! I hope this is a fun, memorable Halloween for you all! Next up, I plan to return to book reviews for a while – and yes, there will definitely be an emphasis on Christmas books! I love when horror movies make you question the reality of what you’re seeing. Unreliable main characters can be both frustrating and fascinating as you try to piece together what is going on internally and externally (and whether the two are one and the same). 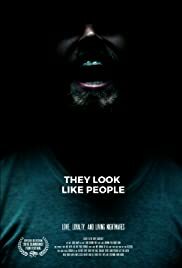 That’s why my penultimate pick for 31 Days of Halloween is They Look Like People. This is a movie that I don’t want to say too much about, but I want to encourage everyone to watch it. It’s only about 80 minutes long, but it is fascinating. 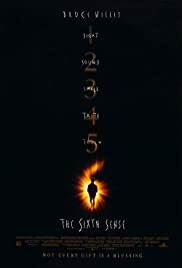 You’ll spend the whole movie trying to figure out if you should be as skeptical of the main character as the other characters seem to be or if he is the only one who truly understands what is going on. This is another horror movie with a fantastic ending and a surprising amount of emotion. 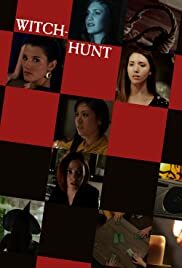 Day 29 of my 31 Days of Halloween goes to another independent horror film: Witch-Hunt. This is a really interesting movie structured around a game, and at times, the movie itself feels like a game. When something sinister seems to be happening, the characters have to decide if one of them is really a witch. As a viewer, you’ll be playing along from home. I love the interesting structure used in this film. With each round of the game, we learn more about one of the players/characters. This is one movie that, upon finishing, I immediately felt like I needed to watch it again. Sure enough, there were lots of clues and subtle references to what might be going on that I had missed the first time. This movie really isn’t scary, but it’s psychologically interesting. You’ll definitely be wondering if you’re just caught up in the hysteria of witches or if magic really is afoot. 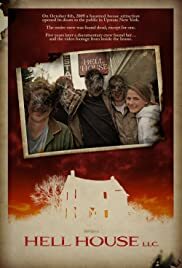 For Day 28 of 31 Days of Halloween, I have selected Hell House LLC, one of the best independent horror movies I have ever seen! This mockumentary-style found-footage film really stands out from others in this genre. It’s tense and creepy but judicious with its use of jump scares. The people who made this film definitely understand that sometimes subtle things a bit out of place are just as unsettling as something jumping out at you. I don’t know about you, but I love haunted house attractions. They give you a true adrenaline rush even though you know deep down that everything will be okay. But as I visit haunted houses/theme parks/rides/etc I always wonder how long it would take for someone to recognize a genuine emergency. This film takes that fear and cranks it up to the next level. This movie about a group of people who are creating a haunted house attraction only to find that the fear is a little too real is one of the best horror movies I’ve seen in a long time. Serial killers are a fascinating bunch, but one is more iconic than most of the others: Hannibal Lecter. 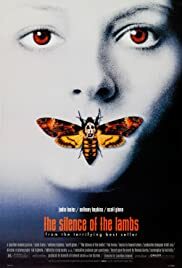 That’s why The Silence of the Lambs is my Day 27 pick for 31 Days of Halloween. Dr. Hannibal Lecter, a cannibalistic psychologist, is no typical adversary. He’s practically an antihero and one of the most fascinating characters in the horror genre. This film is part horror and part mystery. It’s a true thriller that will have you on the edge of your seat. It’s one of the longest movies to make my list, but it’s well worth the time to see Sir Anthony Hopkins and Jodi Foster in these iconic roles.